Yoga classes for all levels will now be regularly hosted at Vennebu Hill’s great barn! Blueprint for Yoga will now be offering regular yoga classes for all ages and levels. First class will be held on Monday, January 28th at 6am. 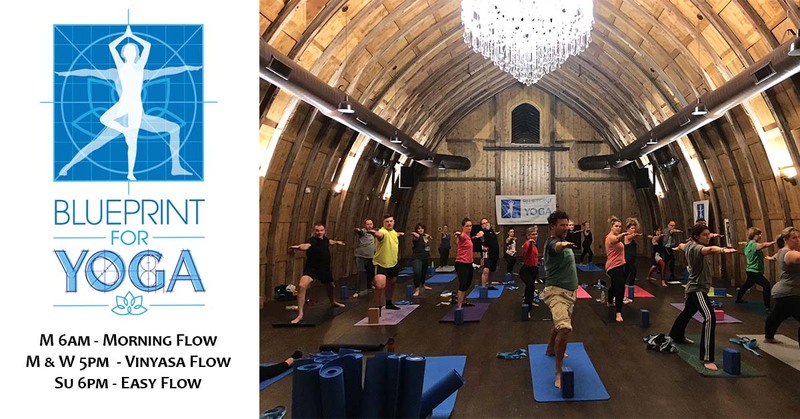 Vennebu Hill will now be hosting regularly scheduled yoga classes in our great barn by the area’s new instructor Helmy Tennis, owner & founder for Blueprint for Yoga. This class is perfect for the yoga newbie or anyone wanting the flow to slow down! We will access the tools to build the foundations of your yoga practice. There will be alignment to gain body awareness to build strength, balance and flexibility. Props will be used and modifications for all levels introduced. Rate: $15 per session; cash or check is best. This is a starting point, so please email Helmy at blueprint4yoga@gmail.com or call 608 393-1975 with questions or ideas. This is a process and I want to hear from you if you have concerns. Visit Vennebu Hill’s calendar for regular yoga classes and Blueprint for Yoga’s specialty events! Blueprint for Yoga’s mission for you includes setting reasonable goals, creating benchmarks and believing in yourself. Every Blueprinter will receive individual attention catered to their needs. Stay Tuned for Upcoming Specialty Events! Sun salutations take time to perfect and there are many ways to do these poses. On Friday, February 15th from 6pm – 7:30pm we will host a specialty yoga event focused on salutations called “Heartful Sun Salutations, Vasisthasana, and Moon Salutations.” Rate: $20 per person. Email instructor Helmy Tennis at blueprint4yoga@gmail.com for more information and to sign up. Please arrive ready to flow at 6:00pm. Bring your mat and water if possible. There are mats available for use.